It's been well documented over the years that each and every Super Smash Bros. game takes an awful lot of development, and every so often we hear stories of director Masahiro Sakurai overworking to the point of exhaustion before being forced to consider retiring from games altogether. Amazingly, though, this doesn't stop him from enjoying the game in his (presumably limited) spare time. For most of us, loading up a quick game of Super Smash Bros. Ultimate after returning home from a hard day of work sounds perfect, allowing us to unwind and have a bit of fun before doing it all over again. But what if your job was Smash Ultimate, agonising over the game day in and day out to make it as perfect as it could be? In his latest Famitsu column (translated by Nintendo Everything), Sakurai-san talks about how he genuinely does enjoy playing games in his spare time, both for fun and to learn. He mentions his recent enjoyment of Dragon Quest Builders 2 and Judgment, before going on to reveal that he does indeed play Ultimate for fun just like the rest of us, even if it is at a leisurely pace. "I’ve been playing Smash Bros. on-and-off too. Of course, I was able to fiddle around with it here and there during development, and I still play it with the rest of the staff during our lunch breaks. That being said, I’m still able to enjoy it as it is on my own Switch back at home. I spend my days sending my spirits out to scour for resources, sending them to training Dojos, and leveling up any Legend class spirits I have. In the long run, I plan to play until I’ve collected every spirit; other games take priority, though, so I’m making my way through it all at a leisurely pace." 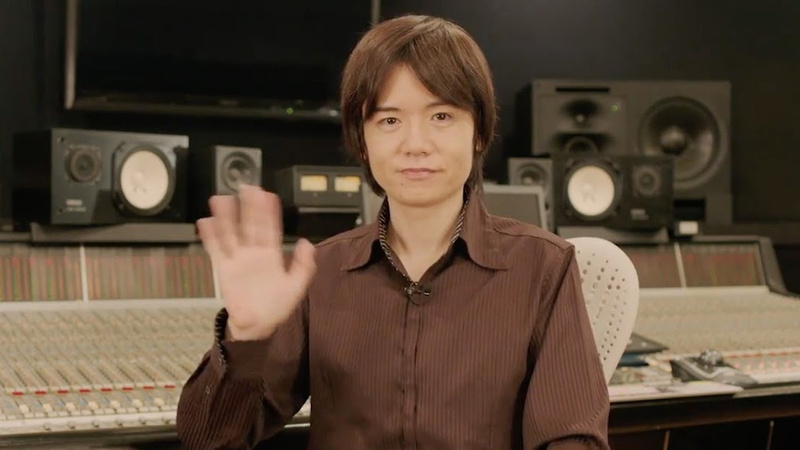 He goes on to say that he will "do as much as [he] can" with the game going forward, with the high quality of other major releases inspiring him onwards, while also thanking the developers and fans for making Smash Ultimate the highest-selling Nintendo home console game ever during its opening week. You just can't help but feel in awe of the guy, can you? Let us know if you're still loving every second of Smash in the comments below. While I know this is about playing games I still weep for Sakurai's soul. 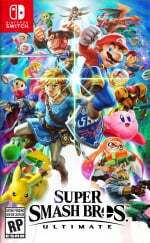 I think Nintendo already is discussing the next Smash and / or the next round of DLC characters after the first Season Pass has been completed. May Nintendo have mercy on his soul. I do hope though that given his success with Smash he will also have sway in saying what other projects he wants to make. Never been able to get into these. Just seems too much like random button mashing chaos wins you a fight half the time. my favorite thing about Smash Bros is how unlike a lot of fighting games, you can really play Smash however the heck you want. you can have a silly fun time spamming regular attacks and using random items, or you can use very technical skills to outsmart your opponents. it's a very versatile game. if you get the chance to try Super Smash Bros Ultimate with another person or two, and really give it a shot, I think you'll be pleasantly surprised. Nope, you'll at the very least will need to know how to recover ( get back to the stage if your launched) for casual play. For advanced techniques (mainly used by the competitive 1 on 1 or 2 vs 2 community) I recommend watching the tutorial videos from Jtails on YouTube. @Kirby-in-Kirkby not true! If you play against a good Smash player, you'll know about it. It's sort of the beauty of the game. If you want to take the time to sit down and learn the intricacies of fighting, such as dodges and grabs, there's a very deep and difficult to master game here. And that's without mentioning individual characters' strengths and weaknesses. On the other side of the coin, if you want to just jump in, button mash and play casually, that's also very possible. It's this accessibility mixed with the option to really dig in that makes this series so masterful. I mean, why is anyone surprised by this? You think a filmmaker doesn't enjoy his own films? Or that an author doesn't enjoy his own books? Or that a chef doesn't eat his own meals? Why would anyone in any creative industry do anything if they didn't get enjoyment out of the end result? We get it NL, you love Sakurai. But this is a really stupid thing to praise him for; OF COURSE he plays his own game. It's silly to think otherwise. I honestly think he plays more than an average player. @Kirby-in-Kirkby I have to admit, that is how I experienced it before from just looking at the game. Right unil I got the game gifted in december. 90 hrs later. I think some comments stated it before it's the mix between frantic fun AND finding more, once you had your first hands on experience. I currently main Bowser, since he caters more to my personal playstyle and still find a lot of stuff on my own, like movesets, weaknesses of my character, or just straight tiny stuff you first don't get, since you are overwhelmed by the sheer wackiness of the game. @Mogster I don't know, a lot of creative people get really burnt out on their projects and, by the time they're done with them, they want nothing more than to get away from them and enjoy almost anything else. Just look at Trey Parker. @Mogster We haven't praised him for playing a game, we're just sharing his comments that he does play it in his spare time. @Mogster I've met quite a few of my favorite writers and artists, and a number of them are either very critical of, or sensitive about, their works. it happens. as people, we're our own harshest critics. I hope that for the next game he only plays. Enough of Sakurai in the direction. @CharlieSmile This is because they are americans, the faux-overlysensitive people in the world. @Tirza bold of you to assume AND generalize at the same time. Side note - Judgment looks ace. I never normally go for endorsements but he's one I trust has a good taste in games. I would be a bit more surprised if he didn't. I mean how could someone create something so impressive if they didn't truly love it? @Mogster I really don't think many authors sit down and read their own books again after they've been published. Not for enjoyment anyway. Has Sakurai ever actually stated how many hours a week he puts in during Smash development? I feel it's just a meme at this point that he lives in a constant state of near-death exhaustion. I'm sure if he wasn't happy developing Smash games he could find work elsewhere. But I think the internet has obsessed over how much he works, I'm sure he doesn't have to do as much these days because of what the previous games did to him. -and he has said that he managed to complete Persona 5, no overworked person can manage that! Sakurai is a genius and deserves all the praise he’s received over the years. Time to move on from Smash. He ought to make Smash Kart with the Mario Kart team. Do away with Mario Kart now. I'd love to race as Captain Falcon in an Arwing themed kart, hitting opponents with a laser sword while zooming around Pokemon Stadium. I wonder who he perfers playing the most? My bets on a Kid Icarus or Kirby character. Likely Kirby himself or meta knight. This man is a treasure. Sounds like praise to me. I get you are a Nintendo site but this is just pandering. @Mogster Well yeah, it's kind of undebatable at this point that he's helped to create some of the most-loved and highest quality games on Nintendo systems over the years. It's just a general, sign off statement that recognises his hard work and talent. We're not saying that we feel in awe of him because he plays his own video game. @Lemmy_the_Koopa He chooses to work on Smash. He's a freelancer, and he can choose whatever project he wants to work into. Geez, people took his "when can I rest" joke too seriously. Geez, Edu23XWiiU took my "I still weep for Sakurai's soul" joke too seriously. It amazes me that Sakurai manages to be the excessive workaholic we know he is in making games, and still be a gamer at home! "and leveling up any Legend class spirits I have. " So even Sakurai knows the 2 stars don't need to be leveled up....then why does his auto-suggest keep trying to force me to use them?! @Lemmy_the_Koopa Ha! It seems someone is much more butthurt than I thought! @Edu23XWiiU Huh...? Okay, if this is the version you choose to believe to make your day, I am happy to play along . Have a wonderful gaming day! . I play Smash online, but mostly with items and normal stages. When you play with people in omega stages, they want to play "pro" but only use cheap tricks, like pros do. It's very boring playing like that. @Lemmy_the_Koopa Hehehe wanna settle this in Smash ? @Edu23XWiiU I def. would love to, but today I got some chores to do, I promised my wife to take care of. I want my word to count . @Lemmy_the_Koopa Hahahaha I'm married too, so I only play at nighttime (or during work, or when I go to the bathroom hehehe). My wife also requires me doing certain stuff before I can play with my Switch. It's not like we're drinking right?? @Edu23XWiiU yeah I get what you mean. I usually play Battlefield - No Items cause I wanna try and learn how to play this game properly, but the majority of people who play like this is already good and hands me my a*s without letting me even understand what’s going on. So yeah, it’s getting a bit frustrating playing Smash, as I don’t find the “casual” items-on etc. fun anymore, but I’m not good enough to play decently in a competitive setup. @clvr Play with the way you have fun, there's no "right way" to play this game, you're supposed to enjoy it. I always have on now my settings for online matchmaking, so most of the times I play with people that do items and normal stages. @Edu23XWiiU Still, gotta support your loved one . @Lemmy_the_Koopa Yeah man. If it wasn't for my wife, I wouldn't have a Switch! It’s weird cause in the same period of time I started looking into competitive Pokémon as well, and in that case it has completely reignited my love for the series. It's nice that he can enjoy something that he put so much work into. There's a certain self-fulfillment in that. @clvr I was getting annoyed by the same thing, but, after looking how those guys play, I thought "Oh forget them, I prefer to play my own way" And if I beat one of those guys, I always say "I got you now!" It's great to just have fun with the game. "other games take priority, though"
About a year ago he was talking about playing and enjoying Xenoblade 2. @Mogster a lot of developers have said they don't play their own games because theyre burnt out with it. His comment of "other games have priority" is understandable in this regard. Which is how I play games like Smash, Splatoon or Mario Kart. Those are fun multiplayer games (Smash and Kart with friends, Splatoon online). I'm always still playing a big single player game. @Mogster Ummm... most filmmakers don't ever watch their own films. I tried playing for fun with casuals before. I blocked their attacks, and they told me that I was cheating. They said that blocking isn't allowed. Then, one of them would always pick Kirby. The guy would do the same thing every time. Jump as high into the sky as he could go, then do the rock move.... To which, I would just move out of the way, and get a free grab. He kept complaining that I was moving away from it. Apparently, he wanted me to stand there and get hit by it. He actually believes that I was supposed to be stupid, and do absolutely nothing about the blatant rock attack that he was going for. Then, they all kept doing the same thing. They would all stand still and wait for me. So, I would simply walk over to them, and they all responded by rolling at me.... rolling right in front of me... where I could easily grab them. So, I would grab them. I would attack. I would wait for them to roll, and that get free attacks on them. Once again, they called it cheating. For some reason, they believe that rolling was supposed to make them invincible well after the roll is complete. Don't know why they thought that. So, I was done playing with casuals after that. They expected me to stand there and way to get hit. They thought they were going to spam a move that leaves them open to get hit, and not get hit. I was done with casual play after that.